The picture of this immature Song Sparrow was taken at the Green-wood Cemetery in Brooklyn, New York. This juvenile Song Sparrow was photographed with the Canon 5D Mark III Canon 300mm f2.8 IS II with the 2X extender. 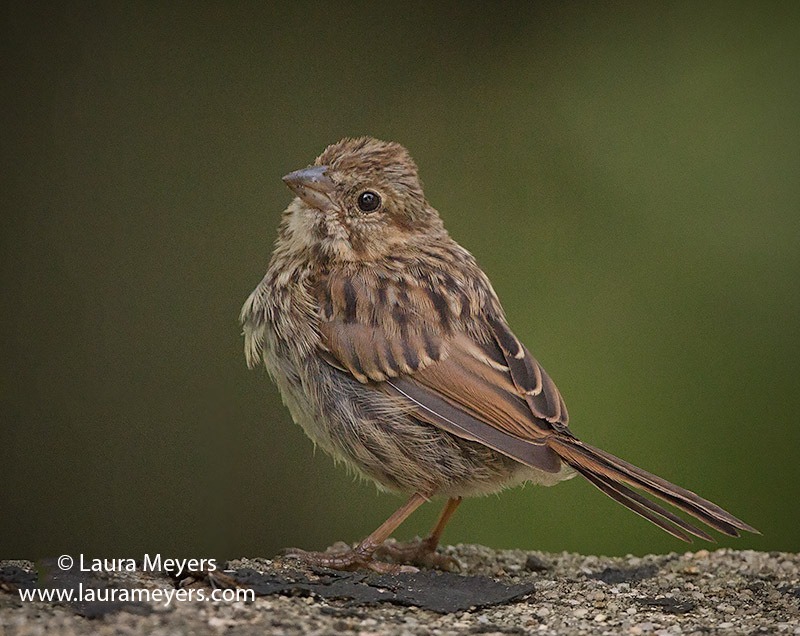 This entry was posted in Birds, Green-wood Cemetery, Songbirds, Sparrows and tagged birding in Green-wood Cemetery, Brooklyn, Green-wood Cemetery, Juvenile Song Sparrow, Song Sparrow on August 26, 2014 by Laura Meyers. The Eastern Kingbird (Tyrannus tyrannus) is a sturdy, medium-sized songbird with a large head, upright posture, square-tipped tail, and a relatively short, straight bill. The picture of this Eastern Kingbird was taken in the Green-wood Cemetery. 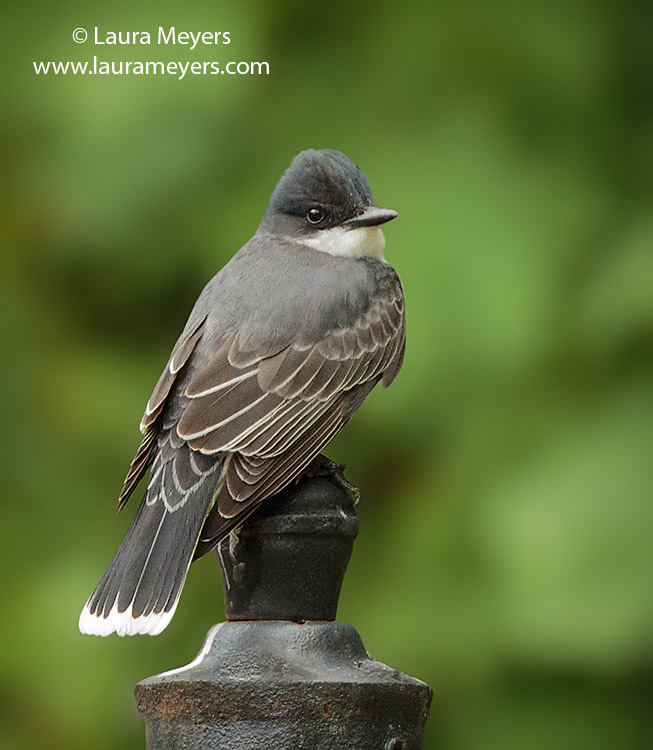 This entry was posted in Birds, Green-wood Cemetery and tagged Eastern Kingbird, flycatcher, Green-wood Cemetery, Tyrannus tyrannus on June 11, 2014 by Laura Meyers. The picture of this beautiful male Baltimore Oriole was taken at the Green-wood Cemetery in the Dell Water area. The camera I used to photograph this Baltimore Oriole was the Canon 5D MarkIII with the Canon 300mm lens with a 2x extender. 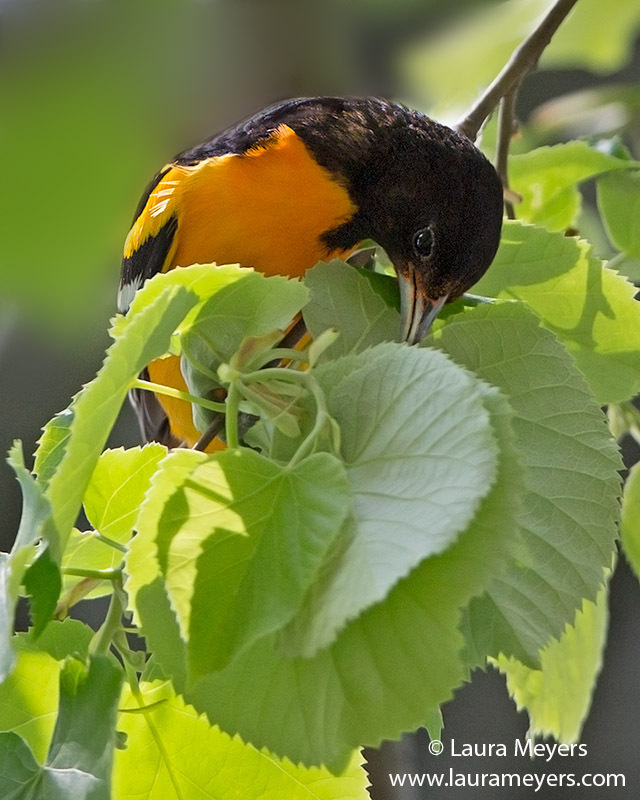 This entry was posted in Birds, Green-wood Cemetery, Songbirds and tagged Baltimore Oriole male, Brooklyn, Green-wood Cemetery, New York on May 29, 2014 by Laura Meyers. The picture of this pretty Chestnut-sided Warbler was taken at the Green-wood Cemetery in Brooklyn, New York. The Chestnut-sided Warbler is distinctive in appearance. No other warbler combines a greenish-yellow cap, a white breast, and reddish streaks down the sides. 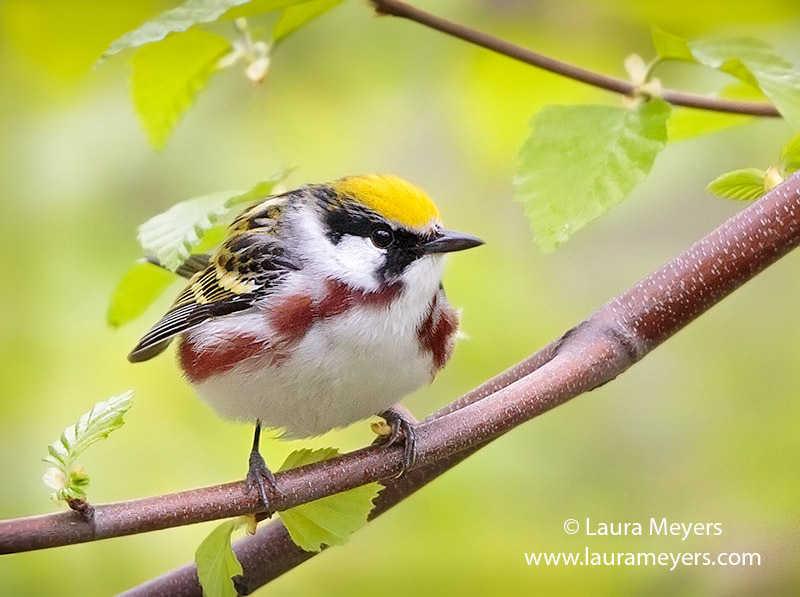 This entry was posted in Birds, Green-wood Cemetery, Warblers and tagged Brooklyn, Chestnut-sided Warbler, Green-wood Cemetery on May 14, 2014 by Laura Meyers. The picture of this lovely male Canada Warbler was photographed at the Green-wood Cemetery in Brooklyn, New York. The Canada Warbler is a colorful, active warbler of northern forests, the Canada Warbler spends little time on its breeding grounds. It is one of the last warblers to arrive north in the spring. 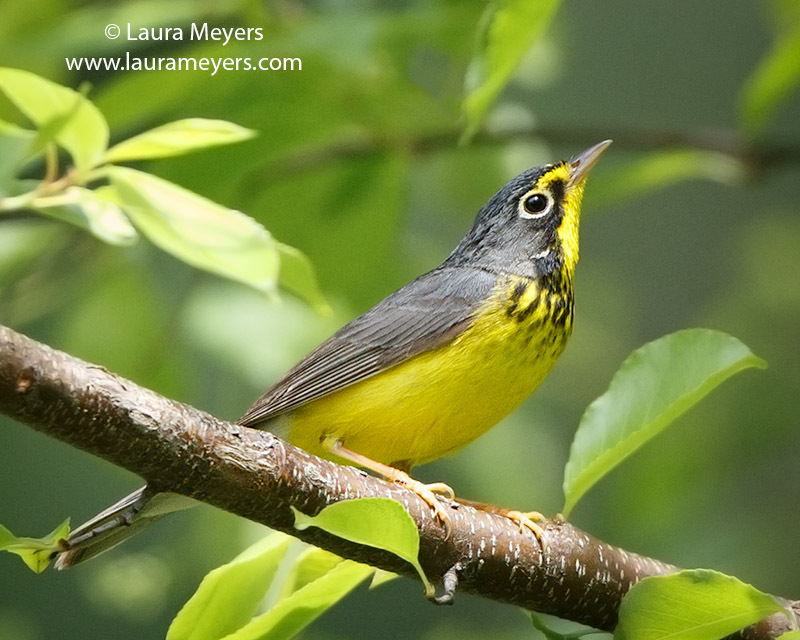 This entry was posted in Birds, Green-wood Cemetery, Warblers and tagged Brooklyn, Canada Warbler, Green-wood Cemetery, New York on May 14, 2014 by Laura Meyers. There were lots of Eastern Phoebes at Green-wood Cemetery this past Sunday. 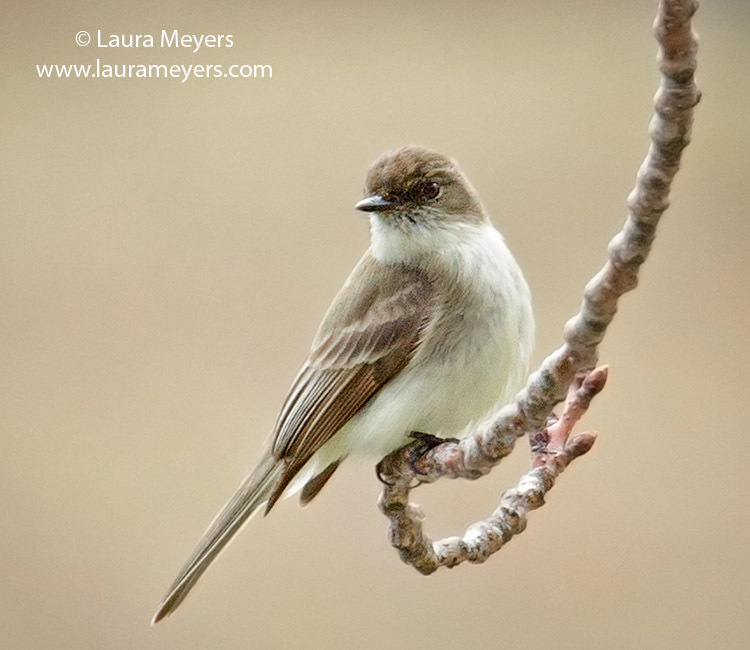 In 1804, the Eastern Phoebe became the first banded bird in North America. John James Audubon attached silvered thread to an Eastern Phoebe’s leg to track its return in successive years. This entry was posted in Birds, Songbirds and tagged Brooklyn, Eastern Phoebe, Green-wood Cemetery, New York City birding on April 9, 2014 by Laura Meyers. 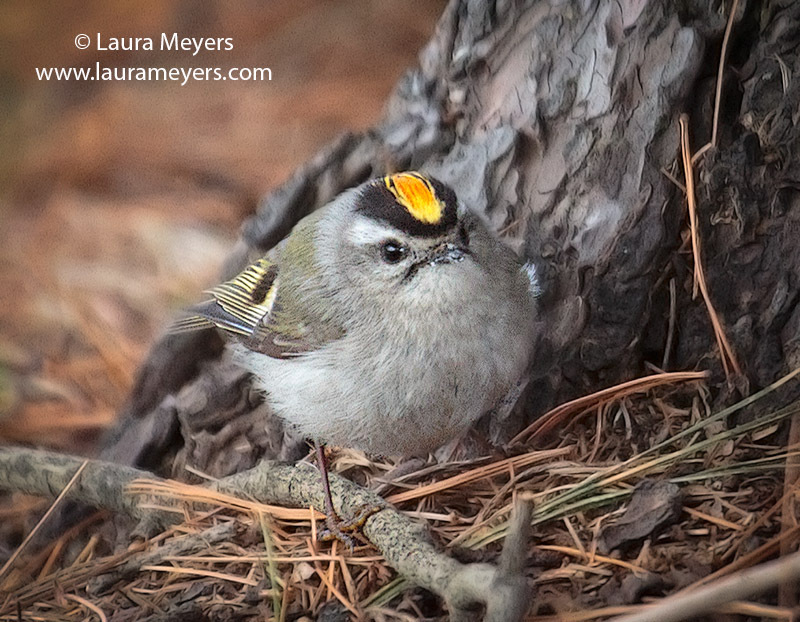 The picture of this Golden-crowned Kinglet was taken at the Green-wood Cemetery in Brooklyn. Green-wood Cemetery is one of my favorite places to photograph birds. Needless to say it is very quiet and peaceful. 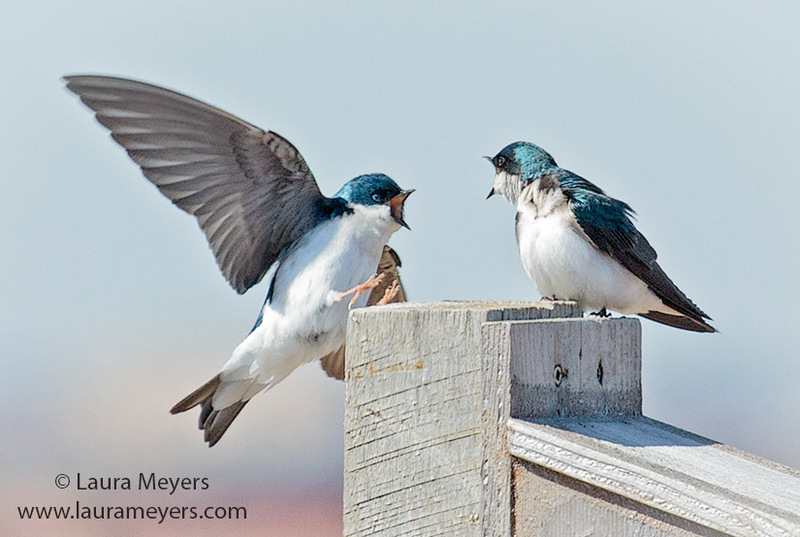 I am always surprised at what birds show up. I like to explore around Sylvan Waters which is where I found this very hundgry Golden-crowned Kinglet today. This entry was posted in Birds and tagged Golden-crowned Kinglet Male, Green-wood Cemetery on April 5, 2014 by Laura Meyers.